When a loved one can no longer live safely at home alone, it can be a traumatic time for family. It’s often difficult to know where to turn and how to reconcile your head, your heart and your bank balance when it comes to choosing care. Someone may have to face the difficult care choice for us one day, just like we have to do for our loved ones now. But how do you know which form of care will suit your relative best? Does your loved one need a care home? You may want to start thinking about a care home for your elderly mother or father if you notice a significant deterioration in their mobility or physical health as a result of a fall or illness. Or perhaps you recognise there is a problem with their mental health, potentially dementia, and it is impacting their ability to stay safely in their own home. Alternatively, perhaps your loved one has lost help that was previously provided by a relative, partner or neighbour, and there is no-one else available to take it on. Or they could be lonely at home, and would benefit from a more social environment. 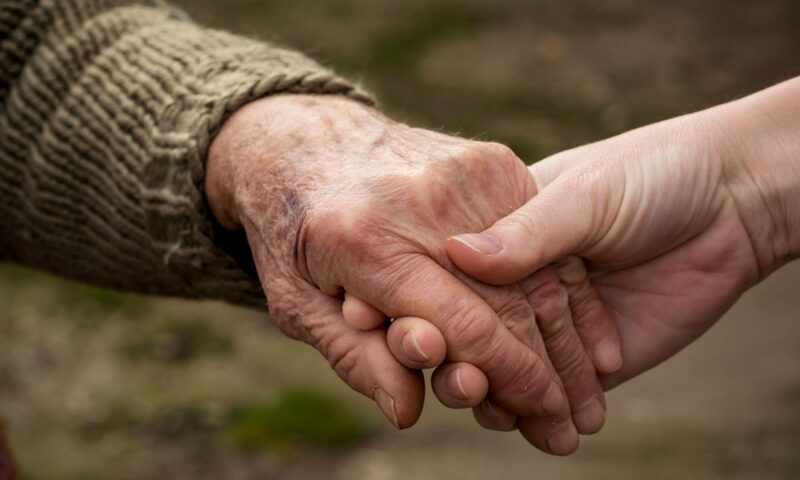 Residential care: This is a care home without nursing where experienced care workers tend to a client’s personal needs, such as helping them to get washed, dressed and fed in the morning, go to the toilet and deal with emotional issues such as depression or isolation. A residential care home may be a good choice for someone who needs regular help with their personal care and who cannot gain such help at home. Nursing care: These are homes with registered nurses providing 24/7 nursing care, alongside care assistants who look after personal care. If your relative needs long-term nursing care, is unable to leave their bed or has any sort of illness or condition that requires frequent attention, their options are limited. You may find live-in nursing care difficult to source or to fund, and may need to look at a nursing home or a care home with additional nursing care. A residential home will have someone on call in the night, while care is provided 24/7 in a nursing home. Your loved one will always have company if they want it, helping to prevent isolation and loneliness. There are often lots of organised activities to keep your loved one active and occupied. A care home should be safe and secure. Your elderly mother or father will no longer have to worry about cooking, paying utility bills or household chores. With your mother or father in a care home, you may also have the opportunity to rent out or sell their house in order to pay for their care. You can have peace of mind knowing that there are carers and support staff available to look after your loved one and attend to their needs around the clock. Your loved one will usually have their own room and can personalise it with pictures, ornaments and sometimes furniture. Depending on your loved one’s care needs, there may be a limited choice of homes with spaces available in your local area. There may be a few different staff members caring for your loved one, as opposed to one dedicated carer which can make it hard to build a rapport and relationship. With a busy care home, it may seem as if there is nowhere to escape to for a little privacy. Your loved one may miss the contact they had with neighbours and old friends. They may find it hard to adjust to a new environment, particularly if they suffer from dementia or Alzheimer’s. People with such conditions often find new situations distressing. All of your mother’s belongings will now have to fit in just one room. Care homes can be expensive, sometimes prohibitively so, especially if you are not eligible for Local Authority funding. Pets may not be allowed in the care home of your choice. You may feel guilty that you cannot look after your relative yourself. The quality of care your loved one receives may vary from home to home. Live-in care offers a more one-to-one approach with a dedicated carer moving in to your loved one’s house to tend to their needs around the clock. Your relative can stay in their own home, surrounded by their memories and favourite objects, near to friends and neighbours. This allows your loved one to keep up his or her routines, especially important for people with dementia. In your own home, there is always somewhere to escape to for privacy and peace. Live-in care offers a one-to-one dedicated care that also includes some element of night-time care. A couple can hire one carer to look after them both (assuming they don’t need a high level of care), which means they can continue to live together. You will have peace of mind knowing someone is available in emergencies throughout the night. Your loved one can stay with their pets, shown to reduce stress and improve wellbeing. A live-in carer will keep the house clean and tidy, do basic errands and help to make nutritious food. The value of your home is excluded from the Local Authority means test when considering if you are eligible for help with care costs. Learn more about potential Local Authority funding with our special article. Depending on the agency or provider, live in care may be pricier than residential, though it can be potentially cheaper for couples. Your relative will still have to pay and oversee the maintenance of the house and pay utility bills. You can’t always promise that your loved one will like or gel with their carer. If you hire a private carer, you then become an employer and have additional legal and financial responsibilities that you may not want to take on. Your elderly mother or father may still feel lonely if they are mostly immobile and have only their carer for company on a regular basis. For an in-depth look at the benefits and disadvantages of live-in care, please see our separate article. Note that not everything will be covered in the care home fees. There may be additional charges for services such as hairdressing, trips out and certain therapies. Note too, however, that if your relative lives in a nursing home and receives care from a registered doctor or nurse, they may be eligible for NHS Nursing Care Contribution. To be eligible, they must need nursing care and be staying in a home with nursing care services. Again there is a large discrepancy regarding live-in care costs around the country and between different providers. Choosing to join an agency that provide carers for you will be more expensive than hiring someone privately, though it may be a smarter choice as the agency can find trained and experienced people for you. It is harder to give accurate costs for live-in care as it is so dependent on the exact care that your relative needs. However, to give you a general idea, potential prices quoted can vary from £36,400[iii] a year to £78,000[iv]. That may be prohibitively expensive or reasonable, depending on your needs and whether the care is for a single person or a couple who would otherwise have to pay for two care home places. Live-in care can also be cheaper if relatives or family can help out. If someone in the family can look after your loved one for one week, for instance, you only need pay for live-in care for three weeks out of four. No one else can tell you the most appropriate care for your loved one. Only you can know that, depending on your relative’s personal situation and their desires. Have an honest chat with your loved one if you are able, and then approach different providers and ask for an honest assessment of costs. Visit care homes, meet potential carers and then decide. Good luck. To learn more about live-in care, see our further articles on the topic.